Six Formidable class frigates were built, with all but RSS Formidable being built by Singapore Technologies Marine (ST Marine) at their Benoi Shipyard, in Singapore. Construction of the class ran from late 2002 until mid-2006, with all ships being commissioned by January 2009. All are currently active, and form the 185 Squadron of the Republic of Singapore Navy (RSN). 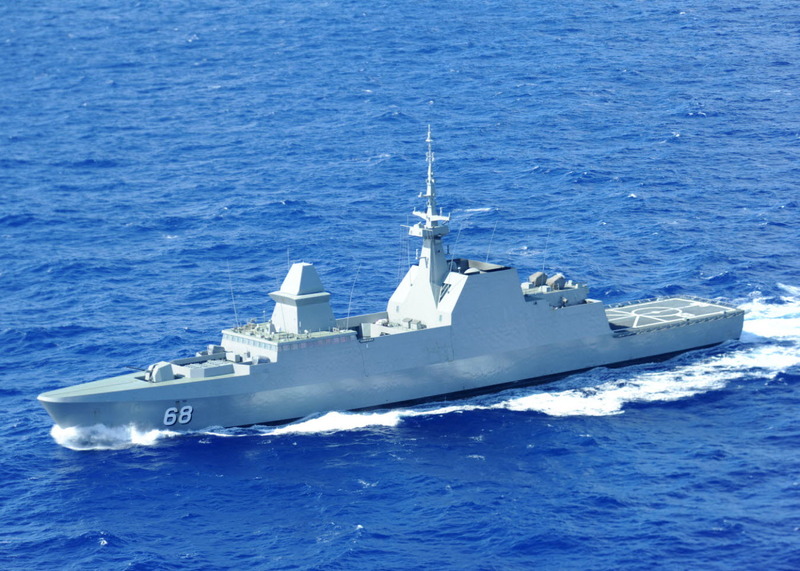 The RSS Formidable was Singapore’s contribution to the forces conducting RIMPAC 2012, operating in conjunction with participants from twenty-one other nations. Singapore’s incumbent Minister for Defence, Dr Ng Eng Hen, has confirmed that a Formidable class frigate (and the attached S-70B) will soon be deployed to the Gulf of Aden as part of Singapore’s contribution to CTF-151. Photo credits: MCS Keith DeVinney, Ernesto Bonilla, and James R. Evans (USN). This post also appears at The Rogue Adventurer. This entry was posted in ASEAN, Counter-piracy, In Brief, Regional security, Weapons Systems and tagged 185 Squadron, Aster 15/30, CTF-151, Formidable class, frigate, Harpoon SSM, Navy, Oto Breda 76mm, RIMPAC 2012, RSN, S-70B, Singapore by N.R. Jenzen-Jones. Bookmark the permalink.